One of the foundational rules of retirement plans is that they must be operated in strict accordance with the terms of the written plan document. Both the IRS and the courts adhere to this rule. The United States Supreme Court even went so far as to say in one of its opinions that a plan sponsor’s intentions as to how the plan should operate are irrelevant if they are different than what is reflected in the plan document. That means that plan documents must be formally amended when plan sponsors wish to change provisions. 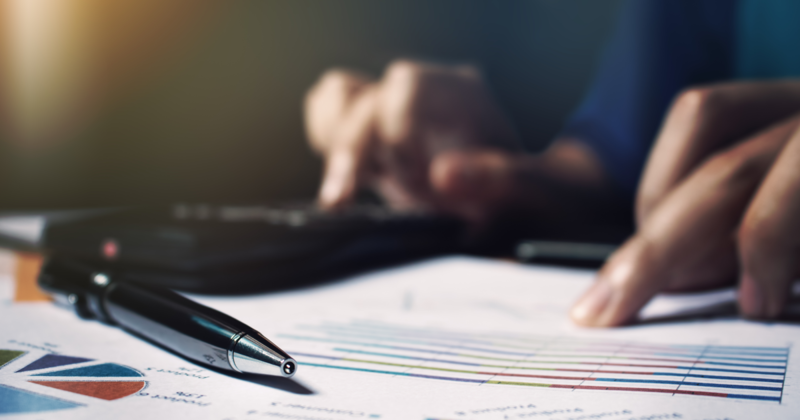 Examples of changes requiring plan amendments may include accelerating plan eligibility for new hires or changing the manner in which a profit sharing contribution is allocated among participants. Depending on the type of change and the date it is to be effective, there are specific requirements as to when the plan amendment must be signed by the plan sponsor. Those requirements apply equally to full plan restatements. For voluntary plan amendments (those not required due to a law change), the general deadline to sign an amendment is the last day of the plan year in which the change is to be effective. For example, if a plan sponsor wishes to add a hardship distribution, effective on August 1, 2014, the sponsor would need to sign the formal amendment and accompanying resolution no later than December 31, 2014. As with most general rules, however, there are quite a few exceptions that could require an earlier deadline. There is a second general rule that is also of critical importance. It is referred to as the anti-cutback rule. In a nutshell, it says that regardless of other timing requirements, a plan cannot be amended in a way that reduces or eliminates a benefit to which a participant is already entitled. For instance, it would violate the anti-cutback rule to amend the plan to reduce a participant’s vesting from 100% to 80%. Although the vesting example is straight-forward, the anti-cutback rule must be applied on a theoretical basis to determine whether an amendment is permitted. Certain plan provisions are protected benefits that cannot ever be removed (or may be removed under very limited circumstances) once added to a plan. An example of protected benefit is the right to an in-service distribution. There is a rule that says participants in 401(k) plans cannot defer compensation they have already received. Any amendment that would indirectly violate that rule can only be effective on a prospective basis even though the general rule would not normally be that restrictive. Two quick examples will help to illustrate. Example 1: A plan currently limits employee deferrals to no more than 15% of compensation. On December 31, 2015, the plan sponsor decides to remove the percentage limit so that employees can defer up to the maximum IRS dollar limit. Although the general rule would allow this amendment to be signed and applied to 2015, doing so would have the effect of retroactively allowing participants to defer compensation they have already received. As a result, the amendment must be prospective. Example 2: A plan sponsor wishes to amend its 401(k) plan to change the eligibility provisions from one year of service to one month of service. Again, the general rule would permit the sponsor to sign the amendment at any point prior to the last day of the year the provision is to be applied. However, a year-end signature with an earlier effective date would likely result in a participant becoming retroactively eligible to defer amounts s/he has already been paid. 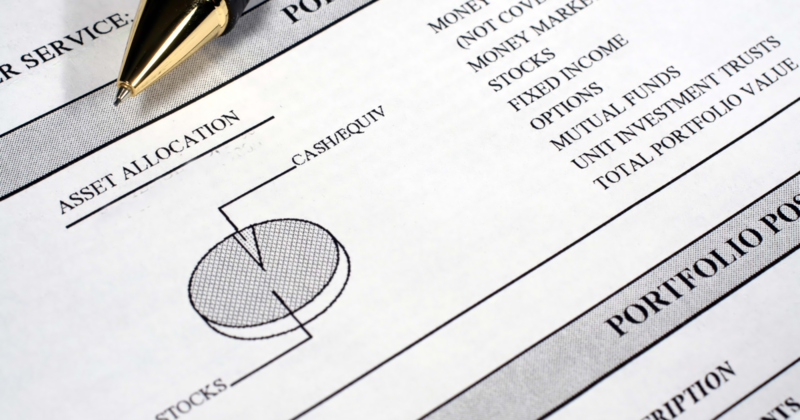 Safe harbor 401(k) plans cannot be amended once the plan year has started. Since the safe harbor notice that must be provide 30 to 90 prior to the start of the plan year must describe certain key plan provisions, that may serve to further limit the timing in which safe harbor plans can be amended. IRS Announcement 2007-59 makes two notable exceptions — safe harbor plans can be amended at any time to add a Roth deferral feature or to add hardship distribution provisions. Other than that, plan amendments can only be effective prospectively, as of the start of the next plan year. From time to time, a plan sponsor may wish to change the method used to allocate profit sharing contributions — maybe from salary proportional to new comparability. This is one of those situations in which the anti-cutback rule described above must be applied on a theoretical basis to determine when a change can occur. The reason is that participants are considered to have earned the right to share in a profit sharing contribution allocated under the existing plan-specified method once they have satisfied all of the plan’s allocation requirements. This is true even when the profit sharing is discretionary and the employer is not required to make any contribution at all. A plan that requires participants to be employed on the last day of the plan year to receive a contribution has until December 30th (assuming a calendar year plan) to amend the allocation method. A plan that requires participants to either be employed on the last day of the year or complete at least 501 hours of service can only change the allocation method up until the date on which the first participant works his/her 501st hour for the year. At that point, changing the method would eliminate a right the participant has already earned. Plans that do not impose any additional requirements on the profit sharing contribution cannot change the allocation method once the year starts. See IRS Technical Advice Memorandum 9735001 for additional information. This is similar to the discussion regarding changes to profit sharing allocation methods. It tends to come up most frequently when a plan does not allow forfeitures to be used to pay plan expenses and the sponsor wishes to add that flexibility. If a single participant has satisfied the requirements to share in the reallocation of forfeitures for a given year, the amendment allowing forfeitures to be used to pay expenses must wait until the following year. Plan provisions that require advance notification to participants create a different set of challenges. Two common examples are safe harbor 401(k) provisions (discussed above) and automatic enrollment provisions. Both generally require that a notice be provided to participants 30 to 90 days before the initial effective date of the provisions and within the same timeframe before the start of each subsequent plan year. If the decision to amend is not made until after the notice period has passed, it becomes impossible to satisfy the notice requirement even if the amendment itself would otherwise be considered timely. Although the notice and the amendment are two separate documents with two different timing requirements, most plan document systems create the notice based on the plan’s provisions. This effectively requires that the amendment be prepared before the notice so that the document system has the correct provisions to list in the notice. Based on these interdependencies, sponsors should initiate the amendment process in early to mid-November (assuming a calendar-year plan) to ensure that a notice containing the updated provisions can be prepared and distributed to participants no later than the December 1st deadline. A final word of caution is in order. Regardless of other timing requirements, it is important not to amend a plan in a way that conflicts with past operations. Let’s go back to our very first example at the beginning of this article. Assume that instead of adding a hardship distribution provision, the sponsor wishes to remove the plan’s hardship provision. Under the general rule, the sponsor has until the last day of 2014 to remove hardships for the year. However, if the plan has granted any hardship distributions during 2014, the retroactive amendment would invalidate those distributions and cause the plan’s operations to be inconsistent with its written terms. As a result, whenever possible, it is usually preferable to make amendments effective on a prospective basis to avoid any unintended consequences. 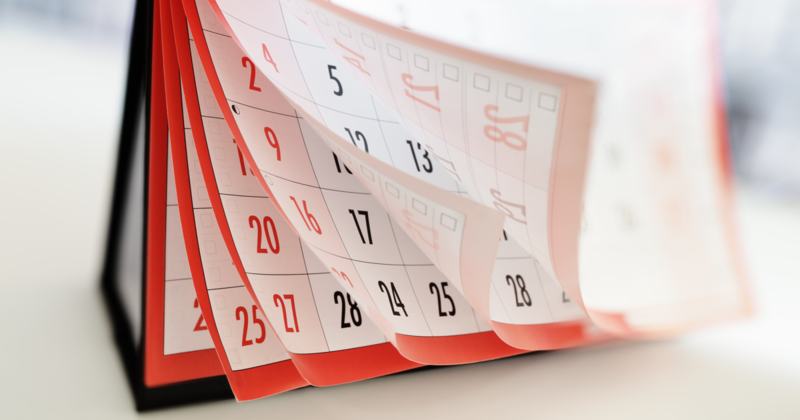 It is somewhat common practice for full plan restatements to show an effective date as of the beginning of whatever year it is to be effective. Since a restatement is a re-write of the entire plan and all its provisions, it becomes even more important to make sure there aren't any provisions in the fine print that could inadvertently cause the plan to run afoul of the timing requirements described in this article. The devil is, as they say, in the details, and this is one situation where the details are very important. An experienced plan document provider will do this analysis for you and make recommendations to avoid unpleasant surprises. Although beyond the scope of this article, there are certain limited circumstances when plans can be amended retroactively from a current plan year to a previous one. These situations are rare and often require that the pre and post amendment plan documents (along with other supporting documentation) be submitted to the IRS for their review and approval. It is important to note, however, that depending on the type and timing of the corrective amendment, IRS approval might not be enough. There was a case several years ago in which the court awarded back benefits to the plaintiffs (the participants) based on the pre-amendment provisions, even though the IRS had approved the retroactive change. The court reasoned that just because the IRS agreed not to pursue other corrections or penalties did not make the participants any less entitled to the promised benefits. As you can see, there are quite a few interconnected and interdependent rules regarding how and when plans can be amended. If you are considering a change, please contact DWC as soon as possible so that we can talk through it with you and take steps to ensure the change can be implemented in a timeframe that meets your goals. For more information on plan amendments, restatements, and other plan sponsor responsibilities, visit our Knowledge Center here.